Created with Pardo Professional Art Clay, this necklace shows how you can create designs that take advantage of the translucent properties and the clarity of color. Much has been said recently about Translucent Pardo Professional Art Clay. It’s a polymer clay that has been rumored to be the clearest translucent polymer clay on the market. I’ve worked with it, and yes, it is incredibly clear. But is it the clearest translucent polymer clay? Cindy Leitz made a video comparing Pardo to other brands and Emma Ralph did a comparison of Cernit and Pardo Translucent. But I wanted to see them all together. So I did what any mad scientist would do. I ran my own tests. In the spirit of a scientific research paper, here are my findings. What’s the Clearest Translucent Polymer Clay? Each brand’s translucent clay has its own characteristics. They’re not all alike. Pardo and Cernit’s translucents are the most clear by far, and have little color cast. Premo’s translucent polymer clays are quite clear, but have a beige color cast. Fimo, Sculpey III, and Kato have translucent clays that are not very clear. Any translucent will be cloudy when thick, none are perfectly transparent. Most translucents will brown easily if your oven’s temperature is incorrect. Pardo, however, becomes much more clear when baked hot and is remarkably heat tolerant with little browning. The clearest translucent polymer clay brands work well for faux glass effects. The less clear brands of translucent polymer clay work nicely for faux stone effects and to give a less chalky effect to your colors. I compared every polymer clay brand’s translucent that I could find. I conditioned each clay, carefully avoiding the introduction of bubbles. I rolled sample sheets in the thickest setting (#1) on my Atlas pasta machine and the thinnest (#8) that I could make (the machine goes to a #9, but I’ve never had clay come through that alive). The thick setting is about 1/8″ (3mm) and the thinnest is about the thickness of a playing card. I baked all brands according to the directions on the package (which I have to say don’t give the best results). All of the clay I used was recently purchased and appeared to be fresh, with the exception of the Cernit. The package I have is several years old. I baked these in a full size oven which has been checked for temperature accuracy. I baked all samples on a ceramic tile inside of a covered foil pan. Pardo, Fimo, and Cernit translucent polymer clays start out quite white in the raw state. Kato, Sculpey, and Premo are colored in their raw state. It’s no surprise that the clays stayed that color once they were baked. Interestingly, though, the color had little to do with the translucency once baked. Thin sheets of translucent polymer clay show Pardo, Cernit, and Premo to be close rivals for holding the title for most translucent. Which is the clearest translucent polymer clay? Comparison of thin sheets of translucent polymer clay displayed on a black background. Note the white flecks in the Pardo Professional Art Clay. Comparing translucence of thick sheets of translucent polymer clay on white. Note that you can barely see through any of them, but the Premo does appear to be clearest when thick. Thick sheets of translucent polymer clay are compared on a black background. You can really see the color here. Sculpey is the most colored and the Premo clays appear quite colored. The favorite going into this test, it is certainly no slouch. You can read through it as cleanly as several of the other brands. The big plus for Pardo, though, is how white it is. The clay is white when raw, and once baked this does not change. But a troubling feature of Pardo Art Clay is that it forms tiny air bubbles or inclusions. No matter how carefully I conditioned this clay, these little air pockets occurred. If you’re trying to get a glass-like finish, this could be a deal breaker. Cernit was every bit as clear as Pardo. You can easily read through a thin sheet. A thick sheet is not any less clear than the other brands and compared very favorably to Pardo. But note how the texture of Cernit is much more clear with none of the air pockets or inclusions that you see with Pardo. Cernit is also very white and clean. Kato Polyclay was the most opaque of all the translucent polymer clays tested. It was not as tan as the Sculpey and Premo. It had more of a yellowish tinge. The color and opacity of Kato didn’t appear to change much during baking. ***Note*** I disagree with the directions on the Kato Polyclay package. The package clearly states that 10 minutes is the recommended baking time. But both the thin and thick samples of baked Kato snapped accidentally while I was taking photographs. I work with Kato all the time. It’s my preferred clay brand, and I’ve never had it break like this! But I always bake it at 300°F (150°C) for 30 minutes. I think it would be safe to guess that Kato Polyclay would be more translucent if baked longer than 10 minutes. I’ll check on this someday. But for now, I’m not condemning Kato. I was pleasantly surprised with Fimo Effect. It was easy to work with and the color was absolutely white. While it was not very translucent, it did not impart a color at all. Sculpey III is an inexpensive hobby clay which is disliked by serious polymer clay artists, so I was not surprised at its poor performance. I’ll leave working qualities for another day. But for now it’s obvious how this is a strongly colored, quite opaque clay. What a pleasant surprise! Although it does have a color in both the raw and cured state, Premo Translucent is a very translucent clay in both thin and thick sheets. I will have to admit that I was not expecting Premo White Translucent to perform as well as it did. It is just as translucent as Pardo or Cernit. And although it does have a tan color, that color does not get in the way of being translucent. You can read through both the thick and thin sheets as well as with any other brand. The only drawback is the tint. It is not quite white. Discussion -Which is the clearest translucent polymer clay? Is Translucent Pardo Professional Art Clay the clearest translucent polymer clay on the market? Yes. And no. No other clay is clearer. Cernit is certainly just as easy to read through and is just as white. But it’s not better than Pardo. Premo White Translucent is just as easy to read through as Pardo, but it has a tint. So which translucent polymer clay should you buy? It depends on your use. If you’re going to be tinting the clay with alcohol inks, then you really need one that is both translucent and clear white. Pardo or Cernit are going to give you the best results in that case. But if you’re needing a background to pack a millefiori cane then Premo White Translucent is probably your best choice. If you’re wanting a clear layer over your design or you’re working with mokume gane, then I’d pick my clay based on either the physical properties (softness, cure temperature) or the colors I am using. If my design features warm tones then the brownish tinge of the Premo translucent clays would not be a detriment and they’d work well. So Pardo Art Clay isn’t the clearest translucent polymer clay? Well, here’s where it gets weird. I performed the above tests using the manufacturer’s recommended temperatures and times. But polymer clay artists are reporting that Translucent Pardo Professional Art clay becomes much more translucent when baked at higher or longer temperatures. Is there any truth to this? You know I had to check, don’t you? When baked at 300°F (150°C) for 30 minutes, Pardo Art Clay is remarkably clearer than when baked at 250°F ( 121°C). I included Cernit just as a comparison. I didn’t bake it at a higher temperature. I also baked a thin and thick sheet of Translucent Pardo Professional Art Clay at 300°F (150°C) for 30 minutes. When baked at this temperature, a waxy residue forms on the surface of the clay and this needs to be removed before painting, gluing, or finishing the piece. But aside from that, wow is it clearer! It is remarkably more clear than Cernit when baked at a higher temperature. The piece also had fewer of the little air bubbles or inclusions. Cindy Lietz baked her test Pardo piece for an hour at 250°F ( 121°C). She found that there were even fewer of the pesky air bubbles. So perhaps baking at 300°F (150°C) for an hour is something to try. If you can find Translucent Pardo Art Clay, then by all means buy it and have fun. It’s a fantastic clay to work with. But if you can’t find it, or if you’re not comfortable purchasing polymer clay online, then all is not lost. Translucent Cernit polymer clay is just as white and as clear as Pardo Art Clay when baked at the recommended temperatures. If you want a clean, clear clay which imparts no color to your finished piece, Cernit is an excellent choice. Especially if you can’t tolerate the physical imperfections that Pardo can have. Cernit sort of looks like frosted glass when cured. But it’s not as clear as Pardo baked at higher temperatures. Premo White Translucent is just as clear as Pardo Art Clay and depending on your use can give you remarkably clear results. Curious about Pardo Translucent? For more information about Translucent Pardo Professional Art Clay, check out my post that I wrote about it. I discuss strategies for curing it, how it behaves, and I show several examples of its use. I also discuss where to buy it and give a couple of suppliers. I didn’t write this article to compare physical qualities of the different translucent polymer clay brands. They are very different and sometimes you have to choose your clay based on factors other than translucence. That is part of the art of polymer clay. It’s a highly technical medium which is easy to dabble in but it takes a lot of experience and experimentation to know which materials to choose and how to manipulate the materials to get the results you want. Discussing the features, qualities, uses, and performance of the different brands is something I’ll leave for another day. In the meantime, I have a bin full of Pardo Translucent. And I’m going to get busy. Stay tuned! Oh…I almost forgot. I typically post most days on my Facebook Page. Go like my page to get more information as I run future experiments. The Blue Bottle Tree’s Facebook Page. First I have to thank you for this great length test. I so far prefered Fimo but next order will be Pardo for sure. I love your creativity! You’re welcome! I already knew how great Pardo was, because I do use it. But I’d never worked with Fimo before and I can now see how it certainly has its place. Very smooth and easy to work with, unlike my usual favorite, Kato. There is so much to learn! Well, hopefully doing these tests has helped others find the right clay for their project. Thanks for stopping by. Happy claying! I used a thin layer of pardo over a transferred picture, and baked that for 30 minutes at 275 because I was using premo in the project as well and it came out almost as if I’d put a clear gloss on top instead. I did the same thing with premo and it didn’t come out nearly as clear. Pardo adds a whole new dimension to what we can do with translucent polymer clay. Isn’t it great? I’ve tried a number of translucent brands also. I actually found Fimo Effect Translucent when baked at 265-270F to be more translucent than when it’s baked at 230F. It’s the only translucent I buy. Thanks for sharing this Ginger!! There needs to be more testing done for sure. I think most of the clays need to be baked at higher and longer temperatures to get better clarity. That test is going on my to-do list! Thanks for this post. I never work this sensibly to make a meaningful comparison. So far I have nearly always disappointed with translucent clay, but I will try again with higher temperatures (and pardo if I can). I hope you do try working with the Pardo. It’s got a different feel to it than Premo or Fimo. But it is extremely strong and clear when baked. I plan on doing some more experiments to see if I can’t get rid of those pesky white air bubbles in it. So many ideas!!! Ginger, BRAVA, Thanks so much for sharing your controlled experiment results. Mighty useful info! Thank you Anita. I hope that people do find it useful. So now we have a reference, at least for the basic conditions. Thanks for this very compréhensive test that should always have on hand to work translucent clay. Thank you, I hope you find it useful. I took a peek at your blog, and added it to my reader. Very nice things! This test is very useful. I do not have the opportunity to work Pardo polymer clay or Cernir but I asked myself these questions already between Fimo and Premo. Your presentation inspired me. I think to make a chart with the different colored transparent clay Fimo often changing appearance after baking. Thank you for following my humble blog. WIth the exception of Kato clay. Someday I want to test each one of these clays and see what the optimal time and temperature combinations are for clarity. We’re only scratching the surface on what we can learn! That would be fantastic! Thank you for all your testing – such a time saver for the rest of us. I was very interested to see your comments on Kato clay snapping. I don’t do much clay stuff but recently I designed some hair pins which require some bending and I was shocked when the Kato versions snapped (premo was perfect). Didn’t realise temperature was so crucial. Usually instructions say don’t over-bake! Ah, I can see how that would be really important when using the trans in layered cane work or with mokume gane. I will have to try that. Thank you for the idea! I have tried the “heat gun” treatment with kato translucent and never got the clearing expected. The heat gun works very well on the liquid clay. Do you have to do the heat gun immediately after it comes out of the oven? I’ve had issues with the heat gun causing blisters in the cured liquid clay. I wondered if it’s too hot, or too close? Any ideas? What type of heat gun are you speaking of? If this is true it would be quite mind blowing for what I’m making with clay.Fantastic research and information just seeing this in Jan 2017 for the first time. DB. Susan, I thought your test was very good in showing the different colors of the translucent clays and also for showing how well they polished up. They are certainly very diverse materials and act in much different ways. For instance, kato is hard to polish up but Pardo is easy to sand and buff to a high gloss. We certainly do have choices! And I’m thankful for mail order. I don’t like paying shipping charges, but when I find a good supplier I don’t mind buying things online. I’ve actually had much better luck online than locally. Local can be very hit or miss. Great post Ginger! I’m addicted to translucent clay so this info is very valuable. I work a lot with Premo Trans. because of its slight color. It gives things a vintage feel. I love mixing herbs and spices into it for a natural feel. I do like the finish of Fimo and Cernit too. For some reason I can’t get past the smell of Kato. It is a migraine trigger for me. I would love to try some pardo. I’m kicking myself for not picking it up at Hobby Lobby when they still carried it here. Yeah, Kato has a smell for sure. Very vinyl plastic. Now see, you’re making my point about how the Premo can actually be the superior clay for some situations. Vintage would certainly be one of them. Definitely the right clay for the work you do! Thank you very much for this great experiment with all brands of translucent clay. Huge work! Thanks again for sharing your experience. Yes, it was a lot of work, but I was really curious about the results. I’m glad you’ve found the information helpful! Thank you so much for this solid piece of research. I use Katoclay but in the light of this, I might now start exploring other options. You might be interested in this post on Facebook. http://www.facebook.com/christine.dumont.7/posts/260371714095258. With your permission, I will post a link to your article on Voila! Christine, I’ve been a huge Kato fan for many years. I’ll be interested to run these same tests on Kato with more realistic temperature and times. I suspect it can get a lot clearer, too. I tried to follow your FB link but it seems to be private. I would love for you link my article on Voila. Feel free. Thank you! Thanks Ginger! I sent you a friend request on Facebook – this way you will see the link. i have decided share it in my facebook web (do you agree? ), for more people in the clay world can know your experience…very useful for all!! Yes, that would be great to share on your Facebook Page. I did find your page and liked it with my own page. Yes, I agree, I think clayers everywhere would appreciate the information. Thank you! Fabulous, Ginger! What a useful and thoughtful comparison–great examples and methodology. Yes, my co-author and I had decided that Premo White translucent is our go-to trans for lack of color shift and all around strength and availability; but it’s really nice to see the side by side comparisons. Huge thanks!!! Hi Randee, I think each of these clays has its place (well…most of them). I’ve never been one to use Premo, but now I just might. This has been a fascinating subject for me, both with what I found out in my tests and with all the feedback and information I’ve received from others. I’m so glad you found the information helpful! Thank you very much for this interesting comparison. I wanted to make some pieces with translucent clay for months, now I have to do it !! Thanks a lot !! Oh yes, you have to do it! It’s so different thinking in terms of the clay’s light and not just the clay’s shape. Have fun! This is amazing research! Thank you so much for taking the time…and taking the time to share with all of us. I have so much to learn! We’re all learning. I don’t think we ever stopped. Like your recent shape exploration video…that taught me a lot right there! Congratulations, you got featured on Polymer Clay Daily! And no wonder what a great test and post you have given us. This will definitely get bookmarked as reference material. I’m so glad you’ve enjoyed the information. I did want it to be a baseline that we can all use as we explore more about each of these clays. What a really interesting comparison thank you so much for doing this and sharing it. I am trying out Cernit as I read Emma Ralphs experiments with Cernit and Pardo a while ago so thought I would give it a try. I’d never worked with Cernit before. I liked aspects of it and found it promising enough that I put in an order for more yesterday. I hope I can find a way to make it even clearer, like with the Pardo. That would be nice. I liked the way it looked and felt better than Pardo. Hi, What a timely topic. I am always searching for this info. I am dizzy with trying to tell the difference between Premo 5310, 5317, and 5527. I get the idea from their website that they may be a bit confused, too. Any comments would be wildly appreciated. Thanks for the info. I think you’re right. They’re as confused as we are. I was also confused so I put down the numbers. What surprised me is that the old “Premo w/ Bleach” is also called 5310 but it doesn’t act the same. I thought about comparing it as I still have a brick of it, but figured that would just confuse everyone even more. Don’t worry. Nowadays we can translate anything with the internet tools. Your earrings, pendant, and “little thing” are really something. Thank you for showing me. I’m bookmarking your blog so I can see what else you create! Hey, Ginger! Congratulations on being featured today at PolymerClayDaily.com for your translucent experiments! I’m so proud of you, and it couldn’t be more deserved! You are awesome! 🙂 Thanks so much for sharing your continuing experiments with translucents. Thank you my friend! You’re the one who got me started with the Pardo. So thank YOU! give me the effect I wanted. Looking forward to trying your methods/clays now. Hi Anne, I’m just following the directions on the package. I haven’t yet tried “experiments” with other clay brands besides Pardo. I’m with you, I don’t always get the results I want either. I gave up working with trans for a long time because it always seemed to turn brown and ruin my hard work. Bit by bit I find out things that help. There is so much to learn! Merci beaucoup pour cette étude complète. Thank you very much for this complet paper. Thank you for sharing such an excellent piece of research. 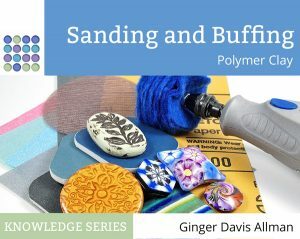 So well written and methodically carried out, I am sure it will help a lot of us who were undecided about which brand of translucent polymer clay to use. I do hope that the information is helpful. It certainly helped me to understand the different clays. Hi Wendy, I haven’t specifically tried combing Kato and Premo translucents intentionally, but much of my “mud” clay that I have sitting around and various color mixes does include both Premo and Kato. I usually bake at 275 when doing that and I’ve not had trouble with Kato being weak or staying uncured. But I DO bake everything at longer duration. Without doing test, though, I can’t be sure what to recommend. I’m also wondering if the baking times and temps are going to be different in Nepal anyway because of the elevation? But I agree with you about the mushiness of the clay. There is a reason that I typically use Kato! Your efforts are much appreciated Ginger! Thank you for taking the time to experiment and provide such good detail. Thanks for doing this test. I usually use Premo, and it’s good to know that it does well in the translucency test. I usually bake at 275°, but I’ll have to try it at 300°. I was also pleased to see that Premo is a good alternative. I used to work with Premo when I did cane work years ago and always liked it. It appears that the newer Premo white translucent is even clearer. We have so many options now! Thank you for this wealth of information and time to do the research! You are very welcome. I’m glad you found the information useful. Thank you for your extensive testing. As a retailer, I don’t have the time to play or experiment as I would like. Oh I hear you Trish! I keep wishing that I can abolish sleep or create 36 hour days, but something tells me I’d just fill up those extra hours too! lol I was telling my mother in law I would get to something as soon as I was caught up and she laughed and said that I will never be caught up. She is probably right! Thank you again for testing Pardo Translucent. I have put a link on Poly Clay Play to your review. I hope that is okay with you. Exactly. Never caught up. My mother is legendary for always telling me that she’s “behind”. Behind what, I ask? I’m so glad you found the article useful. And thank you for the link. I hope people will be even more encouraged to try this versatile clay. Personally when I “get caught up” I want to try Viva Decor’s other products. There are some pretty, pretty things there! Ginger, THANKS! What patience you must have to so meticulously do these experiments! They are helpful beyond belief! Gosh, Dawn, that’s so nice of you to say. And I appreciate knowing that others find it helpful. Thank you! Fabulous information! Thank you for putting in the time to do this. I am new to working with PC, and this was incredibly helpful for my goals. One thing I didn’t see in the discussion was the hardness and ability to take on a high shine without the use of varnish or coatings. I my view Kato wins hands down. The directions Kato gives regarding heating times are way too low. I called the tech guy at the company and he agreed. I heat the clay at 325 for 40 minutes depending on thickness (accurate oven is important), and bump it to 350 for the last 10 minutes. I always preheat the oven. The clay is just much, harder than Premo. I sand with flexible micron papers from Rio Grande and polish with an ultra soft buff on a high speed wheel. The shine I get was impossible, for me at least, to achieve with any other clay.The others are too soft even after extended baking times. Believe me I tried, because it’s not an easy clay to condition.To condition the Kato, I use a dedicated Black and Decker food processor for 1.5 minutes. I can condition 4-6 ounces in one batch this way and it greatly cuts down on the pasta machine rolling chore. I chop the blocks up into little chunks and drop them into the processor over 20 seconds or so. It’s brutal on the motor, but mine has held up fine. I am just careful to not let it overheat. I recently made some “beach stones” using Kato, and when polished they were impossible to tell they were not real unless you picked them up. I tried everything with Premo and there is no comparison. The hardness of Kato not only helps the polish, but the hardness can actually be felt when you touch the objects.I really like the way a polished pieces feels in my hands. Almost like a real stone. You’ve brought up some fantastic points, Frank. I ran this comparison as a baseline comparison of the various brands’ translucent right out of the package and according to the package directions. I am fully aware that each brand’s clay is not being used to its full capacity in this test. At some point in the future, I want to experiement and find the best conditions for maximum translucency in each clay brand and part of that will include how well it buffs up and holds a shine. Your information is invaluable and I will definitely consider it when I run my future testing. I agree completely about Kato being hard, and it’s interesting about how hot you bake it. The tech guy (is it still Tony Aquino?) let me in on that secret years ago, but I didn’t realize you could go quite that hot with it. I think all the clays can go quite a bit hotter than the manuf tells us, but there are other changes, besides strenght and clarity, that happen, too. Each clay is so very different. I’ve done marbling which included both Kato and Pardo and then polish with the ultra high micro grits and then buffed. The surface was not completely flat on a micro level because the Pardo wore away more than the Kato. And yes, it’s hard to keep a shine on a surface that’s soft…even normal wear will dull it straight away. I also use a food processor to condition difficult clay. Though I’ve not had too much trouble with Kato if it’s fresh. It’s only my old stuff that’s crumbly. Thank you so much for your comment and the great information. I know that I will find it useful and hope that others will too. Come back for a visit anytime! Thank you for this article, it is super helpful and informative. I’m curious about the residue formed on the Pardo clay when baked at higher temperatures though…how did you go about removing it? I’ve read somewhere that sanding doesn’t seem to help. The residue seems to be waxy, so sanding would just gum up the sandpaper. I usually just use rubbing alcohol and a toothbrush. And try using hot water, too. Great information, Ginger, well thought out and organized. I intend to put a link on my “Sources” page for my students. Hi Celie, thank you. I send people over to you all the time, too. Love your work!! Wonderful information. Want to go out now and buy Translucent. Having a hard time finding a shop that sells Pardo or Cernit. Can you help? One shop on internet said importer for Pardo has gone out of business. Hi Pat, yes, Pardo is having a bit of a supply glitch at the moment. The small company which previously imported Viva Decor products from Germany did, indeed, go out of business without notice. But as these things go, people are working to get another Pardo supplier up and running. There will be delays as new purchases are made, shipped, put through customs, etc, so we have no idea when it will be readily available again, sadly. The best bet would be to subscribe to the newsletter at http://www.polyclayplay.com because Trish will likely be the first person to get it when it once again becomes available, and her newsletter will be the best way to stay on top of that. In the meantime, try to find some at a local Hobby Lobby store. Some stores do have some Pardo trans still in stock. Thank you SO much for doing this work and sharing your results! Very, very helpful! Why must the name of Sculpey III be taken in vain simply because it is the clay of choice for the budget minded? I have some wonderfully intricate and beautiful pieces made entirely of Sculpey III. Sculpey III is my go to clay of choice. It’s what I started with and it’s what I stick with. I know what to expect from it and how it will behave under different circumstances. I hate to seem as though I am generalizing one opinion statement from your article, but it seems to be the way of the world to assign lesser status to products and/or services simply because they are the lowest price. I have a low opinion of Sculpey III because of the hundreds of stories I’ve read of newbies who are heartbroken to find their pieces have broken. When I was a new clayer, I bought all brands and mixed and matched them. Over time it became clear that things made with Sculpey III would crack and fall apart. Just last month, in fact, as switchplate cover that I made from Sculpey III glow in the dark shattered and fell to the ground. It’s mushy too work with, too soft for caning, many of the colors darken during baking, and its translucent…isn’t. Price has nothing to do with my opinion of it. In fact, where I live, it’s the same price as Premo and higher than the price of Kato Polyclay. And besides, clay is so often on sale that there’s really no reason to buy it at full price unless you’re out of a certain color. Every clay has its merits and you’re so right that when you know what to expect from a clay then you have better results. It’s not really a BAD clay, it’s just that it has limitations that cause a lot of frustration because other clays are better suited for the purpose. If you’re making figurines that will not be handled, Sculpey III is an excellent clay. But for jewelry, for anything requiring durability and/or flexibility, there are much better choices. that was incredibly helpful! thank you so much, saved me a ton of testing! I’ve worked with these clays extensively since I wrote this and the information is still true. Pardo is, by far, the clearest. Baking polymer clay at higher than recommended temperature can cause harmful fumes to be released. Something to be considered, particularly if using a regular household oven. “Harmful fumes” is a very nebulous term. In reality, polymer clay is non-toxic and only releases harmful gases when it burns, and it does not burn until it gets close to 350°F. When that happens, the clay turns black and hydrogen chloride gas is released. It’s not toxic, it’s caustic, and can cause lung irritation (because it forms hydrochloric acid upon contact with moist lung tissue). It does not matter if you are using a household oven, a heat gun, or a toaster oven…burning clay is to be avoided. But baking clay slightly hotter, in a controlled manner, is perfectly safe as long as you do not burn the clay. Hi Ginger, great information! I would like your opinion on a project…I’m making stones for rings for my sisters and I. I am using flowers from my parent’s funeral’s that were professionally freeze dried. The look I would like is clear, no color imparted so that the pieces of flowers are completely visible. This will be the larger center stone of the ring, then on either side I will use my grandmother’s (who has also passed) loose Swarovski Crystals in my parents birthstone colors as accents to the primary stone which is the flowers baked in the clay. Again, I want the clay clear, not the brownish tint…what is your advice and guidance on achieving this, as these stones will be somewhat dome shaped and fairly thick. I will be so grateful for any wisdom you could impart! Hi Monique, I don’t think this can be accomplished with polymer clay. Look into using an epoxy or UV resin such as Enviro-Tex Lite or Lisa Pavelka’s Magic Glos. Polymer clay will always be cloudy and will obscure the flowers.